There are seventeen days until Christmas. Insanity, people. Where did the year go? 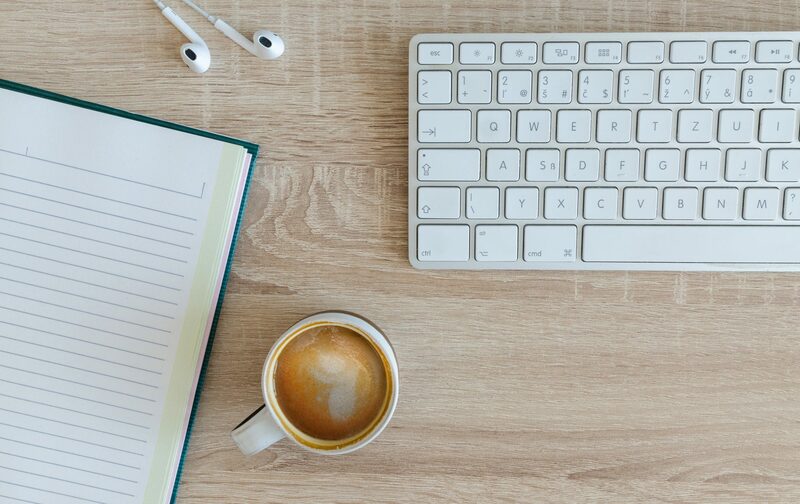 It feels like just a little while ago, I was brainstorming for names (this site was almost named Splattered Journal Pages, but hey, I changed my mind a few hundred times over it) and looking up WordPress how-to articles (thank you SO MUCH, Amy Lynn Andrews). At risk of sounding cliché, I’d like to discuss a few terms in this post and the next that we throw around during Christmastime, and dig deep into their true meanings. These are all great things. But instead of the deep meanings, we sometimes exchange them for cheap reflections. Instead of thinking of the peace we have with God when hearing ‘peace on earth,’ the word evokes a different feeling, something resembling hippie vans and that whole counter-culture thing in the sixties. Same goes for love and happiness. Maybe you don’t associate biblical Christmas-y terms with worldly meanings. If not, awesome. But I believe that this world has been so tainted with incorrect things claiming to be right, and they really aren’t. This, my friends, is our problem. What do you think of when you envision peace? The upside-down y-and-line inside a circle? No wars on earth ever again? The tranquility of a summer day on a lake? As much as all of these things are a part of peace – none of them are the full definition. But seriously, do we really think it went that way? The Bible says no such things. Labor is painful, whether you’re Mary or Mary Sue. Babies cry, because they are trying out their lungs for the first time, and can’t say “hey Mom, I’m hungry.” Jesus was wrapped in strips of cloth and placed in a feeding trough, not silk, and not in a crib. Jerusalem rarely gets snow, and with all the clamor of a new baby and shepherds visiting, it was probably far from silent. If our definition of peace is based on supposed circumstances of the first Christmas, we aren’t seeing the whole picture. This peace refers to the fact that we were once stained by sin and enemies of God. Through Jesus, our sins are forgiven, done away with, and replaced by Jesus’ righteousness. Because our sins are forgiven, we can now have a relationship with God. The enmity between us and Him is gone. He no longer sees us as filthy sinners, but as righteous saints, bearing the image of His Son. Sure, tranquility and other things can come out of having peace with God. But when we think baby-in-the-manger, we must have the right perspective on peace. Jesus is the Prince of Peace. The peace we celebrate at Christmas isn’t an image of simple tranquility in the stable, but of changed lives. Jesus provided that peace for us. Peace with God was given to us by Him alone – and this is the peace that we are to celebrate. Are You Numb to Jesus? I read half a book on Sunday afternoon. I started reading The Pastor’s Kid by Barnabas Piper, because, um, I’m a PK and I had it sitting next to my bed just begging to be read. I gave in, needless to say. It’s not a book on theology or anything like that, but more of a book helping people get a grasp on what being a PK is like and how to respond to that. I cannot say that I relate to all of it, but something particularly stuck out to me. The concept of being numb to Jesus. This can happen to anyone who’s been drowned in church, the Bible, and surrounded by Christianity. We can become numb to Jesus. Here’s a snippet of the book that I found spot-on. “Being around Jesus-related teaching, literature, and events all the time makes Jesus rote in the minds and hearts of PKs. Rote is mundane. When Jesus becomes mundane, He ceases being life-changing and life-giving. In the case of many PKs, He never was either of these; by their estimation, He was just a character in an overtold story. Instead of Savior and Lord, He becomes any number of other things, most of which take on the character of those who represent Him in the church.” – Barnabas Piper, The Pastor’s Kid, page 73. I remember feeling this way! Can anyone relate? I remember in 7th grade, things really started to click. I was baptized going into 7th grade and attended a winter weekend camp with my youth group. Maybe you’re a Pastor’s Kid, or a Missionary Kid, or you’re just so used to Christianity that you’re numb to Jesus. Jesus is a history figure, not a Savior. Maybe you had no “Damascus Road” conversion, just a prayer with Mom and Dad in preschool, kindergarten, or grade school. And after being excited that “Jesus lives in my heart!” for a while, maybe even a few years, Jesus stopped being life changing. At least, it seemed that way for me. I memorized all the verses, could rock Bible Baseball in Sunday School, could explain the book of Romans in detail, but my salvation didn’t seem life-giving. When I became a Christian in preschool, my life didn’t drastically change. Of course, John 3:16 was a good verse. Jesus died to save us from our sins. Great! We can go to heaven when we die. I was so immersed into the Gospel that grace didn’t seem all that great, because I never felt like I experienced it. My conversion felt like a “press this button for eternal life and forgiveness” and so I pressed it. I’m sure others feel or have felt like this too. Do you want to know what helped me find Amazing Grace for myself? I finally understood the weight of sin. Don’t get me wrong, I’m not saying we should dwell on our sin too much. But listen up. If we don’t understand that we are sinners in the first place, controlled naturally by a sinful nature, we won’t see our need for a Savior. If a fireman came to your house and told you he was there to save you, but there was no evidence of any danger, would you appreciate him? No way. When I realized that without being under the control of the Holy Spirit that I was doomed to a life consisting of ball-and-chain slavery to sin, I understood why grace was so important. Salvation isn’t saying some prayer and trying to be good for the rest of our lives. It’s being given a new nature, our sin is forgotten about and erased, and we are clean. It has nothing to do with “being good,” which, a lot of church kids are extremely good at. I was pretty good at it. I was legitimately accused of both having the entire Bible memorized and being a perfect angel. But that was me trying to be good, not letting myself be under the control of the Holy Spirit. When I realized that I was, in fact, a true sinner, I could accept God’s wonderful grace to pay for my sin. It was only amazing, though, because I knew I didn’t deserve it and could not earn it. I saw a relationship with God through Jesus as a privilege. I always got the God/Jesus/Holy Spirit distinction mixed up. I’m not going to bother trying to explain the Trinity, because even I can’t full wrap my head around that. What I will say is this. Sin separates us from God (His holiness and our sinfulness cannot coexist). Jesus is our mediator, the one whom God the Father sent as a mediator between us and God. He willingly died to pay for our sin, and now we can believe in Jesus’ sacrifice to pay for our sin, have a relationship with God, and live by the power of the Holy Spirit (we aren’t controlled by sin now that it is washed away). By taking my relationship with God for granted instead of seeing it as a miracle, I missed out on the blessing of enjoying my salvation. I became apathetic about being saved instead of rejoicing in it. However, when I realized the drag of sin and lift of salvation, I could see that I am blessed. Grace is amazing, and that’s so easy to forget when we’re so used to it. Some other things occurred that year too, things that I don’t even remember, but the “AHA!” came when I was done taking Jesus for granted. I quit it with the cynical eye and read the Bible for myself. Because I wanted to, not because I was supposed to. Friends, we can’t be numb to Jesus. Salvation is much too precious! If you find yourself becoming bored with your faith, especially as teenagers, step back and examine. Who am I? Am I defined by what I’ve done, or by the cross? Why do I believe what I do? Is it because Mom and Dad said it was true, or because I have faith for myself? I get it. I’ve experienced so much of it. The doubts. The questions and the answers. And you know what? I know that God is faithful. He’s not one to leave when we have doubts, but to prove Himself true. Whether you’re a PK, a church kid, or anyone really, don’t let yourself be numb to Jesus. He is more than we deserve. 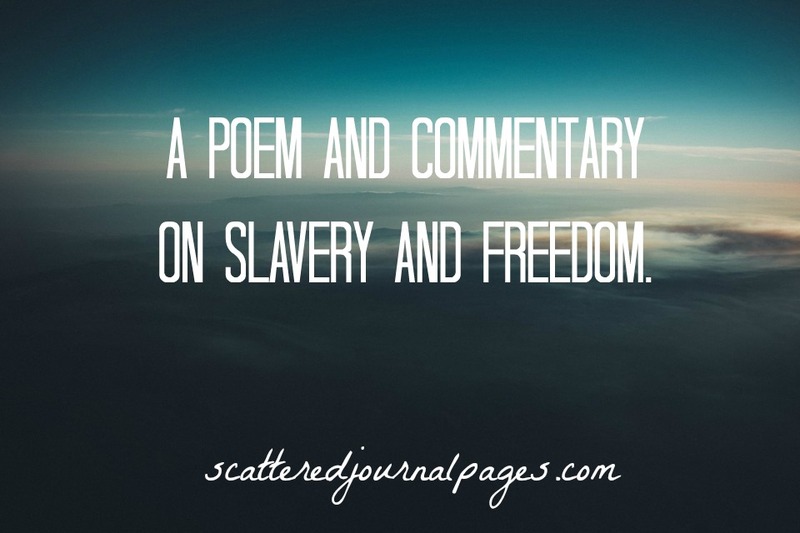 A Poem and Commentary on Slavery and Freedom. All were hopelessly lost without grace. Despairing cries came from every place. My whole life, I’ve gone to church, memorized Scripture, gotten all the answers right in Sunday School, and all that. I’m guessing that many of you readers have lived the same way. However, that doesn’t constitute real freedom or even salvation. But it just seemed too bleak. I knew I was too weak. No matter who we are, we’re all born slaves to sin. I was born a sinner, so were you. No amount of baby dedication, baptism, or prayers would save a human born into this world. But as soon as you or I are old enough to know the difference between right and wrong, and we choose wrong, we make it known that we have this thing – this disease – penetrating our hearts and enslaving us to its grasp. No one can break free alone, whether the child of a saint or a criminal. So I tried to flee. Sin gained a stronger grip on me. All my life I knew what the Bible said. However, knowing what it means is a different story. The Bible isn’t some random self-help fairytale. It is written for us, absolutely, but it’s not a 12-Step handbook. The thing about Christianity is that we think we should “try harder,” “just be stronger,” or “put more effort into it” and we’ll overcome everything in our lives. But no. The more we try on our own strength, the more we will fail magnificently. The more we see ourselves fail, the more we let sin hold us down. I’m not the one that holds the key. My Savior, the One who died to make me free. No amount of good deeds on my part could earn me my freedom. I was chained to sin, condemned to death, and hopeless. But it didn’t have to stay that way. When we realize we’re slaves to sin, we know we can’t leave by anything short of a miracle. The thing is, we have that miracle. Jesus died and rose again to free us, and when we believe in Him, we are set free. Regardless of our pasts, regardless of our horrible deeds, regardless of the times that we’ve chosen sin over salvation, we can be saved. It’s a choice. Along with the others here. Relieved that He was so near. We are free from slavery to sin! Hallelujah. We. Are. Free. The chains have been removed and we have been rescued. I grew up in church, yes. But salvation – my own choice – was what made me a free child of God. All have been destroyed, along with my pain. I owe all to my Savior who rescued me. We couldn’t save ourselves, in all honesty. Let us praise the One who saved our souls! It is grace that has saved us, and not our works. When we were powerless in the darkness, we were given the choice of freedom. And freedom is what I chose. In my very first post, waaaayyyyy back on February 17, 2015, I talked about happiness vs. joy. I was a little baby blogling, testing out my writing voice in a little corner of the blogosphere, and didn’t quite know what I was doing. (It’s not my favorite post.) But I decided that the points in there were still important, regardless of the quality of writing. I’ve been thinking about names recently. I’m Amanda Joy Beguerie. When I was six, I decided that I was going to change my name to Clara when I turned eighteen (and for the record, Clara just so happens to be the name of my book character twin). In addition, I always thought that Joy was a somewhat boring middle name, because it’s a word name (e.g. Grace, Faith, Patience, etc.). Two nights ago, in Bible study, we talked about joy. We’re studying the book of Philippians, which is all about rejoicing. I thought about my middle name and realized something. My middle name is constant. I’m not Amanda [always changing emotion name], I’m Amanda Joy. Joy doesn’t leave, because joy is constant. I can’t get rid of my middle name, it’s just there. No matter how I feel, or what I do, it doesn’t change. In Bible study, we talked about rejoicing in the Lord. Because God doesn’t change, our joy needn’t change. Because things like grace and salvation do not change, we can rejoice in them. Sure, I’m happy if I get a lot of likes and comments on a blog post. I’m happy if I buy something I really like. I’m happy to get my paycheck. I’m happy when people give me books and Amazon gift cards and clothes and free food. These things make me actually, legitimately happy. I won’t minimize that. But those things aren’t constant things. They don’t last forever. However, beautiful things like grace, and salvation, and God’s everlasting love are things that we can constantly rejoice in. I’ve never struggled with depression, but I have been emotionally depressed from time to time. I think that most of us have, really. In those times, I cannot shake the feeling from myself because what happens is I forget my joy. It’s easy to let myself become happy because of an earthly thing and then later, let myself be disappointed when that thing doesn’t last. Joy is something that we will find in God alone. We will find joy in our salvation given us by the grace and love of God. When we succumb to lies that tell us that our ‘joy’ should come from things, we deceive ourselves. This is where our joy should stem from. I know, I know. We’ve heard that verse a thousand times. BUT LISTEN TO WHAT IT IS SAYING. When we had no hope, God provided us with hope. This hope is assurance that no matter what we have done or will ever do, God has forgiven us. God has done what no one else could do, and He forgave us when we were unforgivable. We are new in Christ, and our sin is not held against us. Joy isn’t a fleeting emotion. It’s a choice to live in gratitude to the one who saved our souls. It’s a mindset that will give us constant satisfaction. 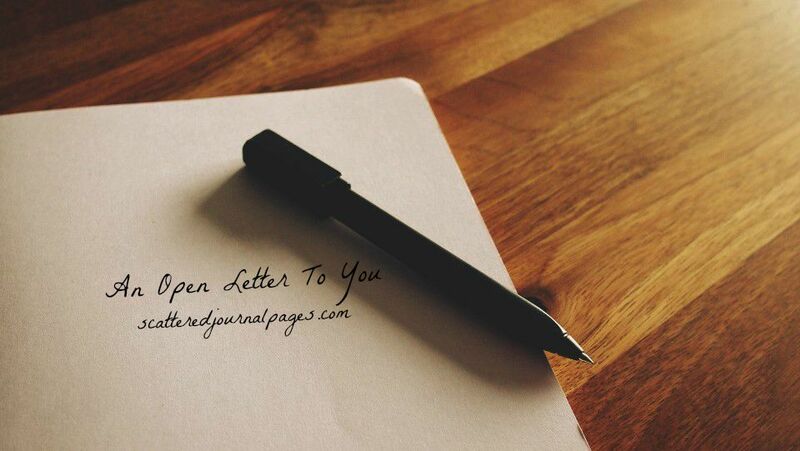 An Open Letter To You! This little blogger-writer over here had a grand old idea in February to name her blog Scattered Journal Pages. You know what, I have no idea. It’s one part website, one part hangout spot, one part Bible study inside my head, one part splotched and weathered journal page, and one part bookshelf. It’s a lot of fun, and I wouldn’t have it any other way. However, it’s called Scattered Journal Pages for a reason, and I’d like to share something that perhaps is remotely journal-related. You know, something I would write on notebook paper. How about that today. I love letters. Hello. I’m Amanda. You may be my good friend, or you may have never even heard of me. Maybe I know you, maybe I don’t. But that’s not really the point here. The point is that YOU are reading MY blog, and this letter is addressed most definitely to you. And no matter who you are, I’d like you to stick around so I can tell you a few REALLY important things. Because we all need to hear them. Dear One, you are loved. You are loved ever so much by your AMAZING Creator, and He wants to have a personal relationship with you. Yes, you. Not just your cousin, aunt, spouse, neighbor, or friend, but YOU. You wanna know why? Because God is gracious, and love has nothing to do with anything you’ve ever done. Jesus died so that your sins would be forgiven, and He rose again to prove it. Lovely Person, no matter where you are in life, you are absolutely never too far gone. It is always an option to come to God for forgiveness. And once we have accepted forgiveness, we are counted righteous and blameless. Come to your Heavenly Father. His grace is for you. Dear Reader, God has a plan for you. He knows what He’s doing. He’s in control of your life, and all things are going to work together for the good of those who love Him. If you love Him, that’s you. Your future is bright, even if you’re ninety-three. My Friend, I know that it’s not popular to think this way, but it’s imperative that you know that Jesus is the ONLY way to God. And lastly, Wonderful Listener (seriously, if you’re still here, you get a sticker), don’t be afraid. God is always with you, no matter what you’re facing. I don’t know exactly what you’re going through, but whatever it may be, you don’t need to be afraid. God will give you strength and He will help you. Friend, God is for you and not against you. He loves you more than you can fathom. Don’t reject that, but receive it.